The arm can rotate and move up and down. It first grabs a ball from the dispenser, which pushes one ball from the shelf when the arm hits the beam at the front. This is done mechanically via a construction of beams. Then the robot shows the ball to a color sensor, which detects whether it’s a soccer ball (white) or a basketball (orange). If it is a basketball, it is dropped into the basketball bin. 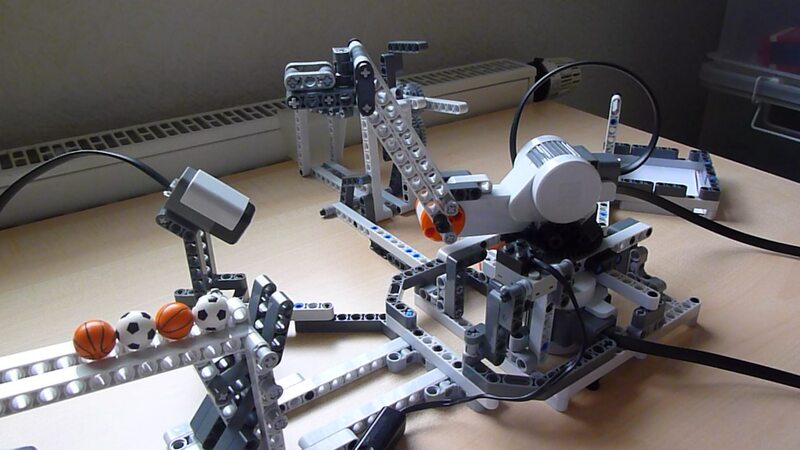 There is a special beam which blocks the way of the ball, but not the way of the robot, therefore pushing it of the arm. If it’s a soccer ball, it is dropped on the soccer ball shelf using a similar principle. The robot waits until three balls are on the shelf, then it ‘flushes’: the Roboduck presses another beam, which causes the soccer shelf to release the balls into a plastic container. After the robot dropped of the ball it starts the whole process from the beginning. 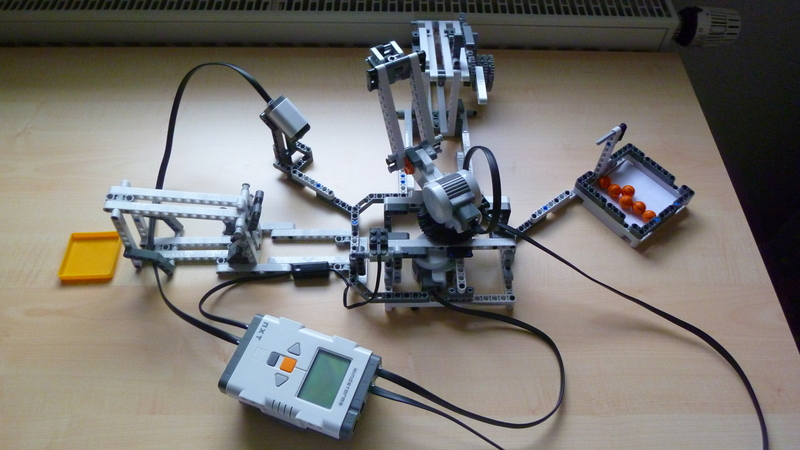 All two motors operate the arm. Putting balls on the tip of the arm, dropping of balls and flushing the soccer shelf is done mechanically via gears and beams. It’s called Roboduck because the arm reminds me of a duck. 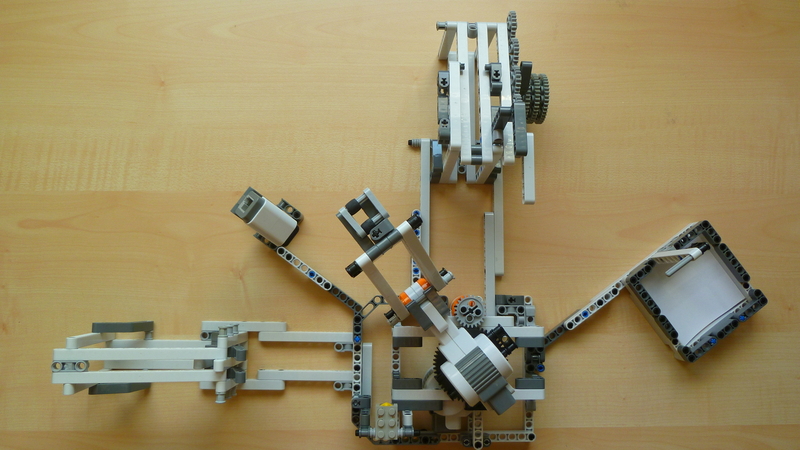 All parts of the robot are attached to the arm, so the arm can’t push them away. The precise positioning of all components is really important. The only things which are not from lego are the plastic container in which I use to keep the balls and a piece of paper inside the basketball bin which is used to prevent the balls from jumping out of the bin again.